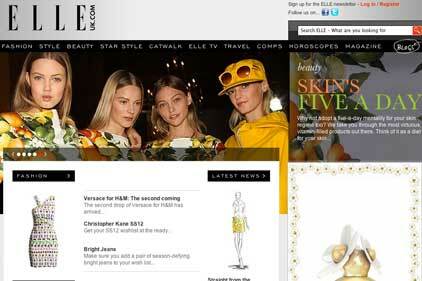 W Communications has been appointed by Hearst Magazines UK to promote the new-look ELLEuk.com. The consultancy will manage all consumer and trade PR and create a series of initiatives designed to boost the profile of the site among advertisers and users. The brief includes a broad programme of support for the trade and consumer launch of the new ELLEuk.com. The agency, which has worked since 2009 on Hearst titles Red, Psychologies and Inside Soap as well as Hearst Digital sites Digital Spy, Sugarscape and Redonline, will extend its relationship with the magazine publishers, following its acquisition of Hachette Filipacchi. Key to the campaign will be broadcast and press profiling of key ELLEuk.com personnel including Carrie Gorman, ELLEuk.com’s editor and sales director Jacqui Greaves. Warren Johnson, MD, W Communications, said: ‘Hachette Filipacchi were one of our founding clients, so we’re really pleased to be continuing and growing our relationship with Hearst Magazines UK, post acquisition.